As expected, Google's info command no longer works. It stopped working yesterday afternoon. So now if you try to do the special search operator, you will just get search results from that site and nothing special. Glenn Gabe noticed it went away at 1:45pm eastern time yesterday and posted about it on Twitter. 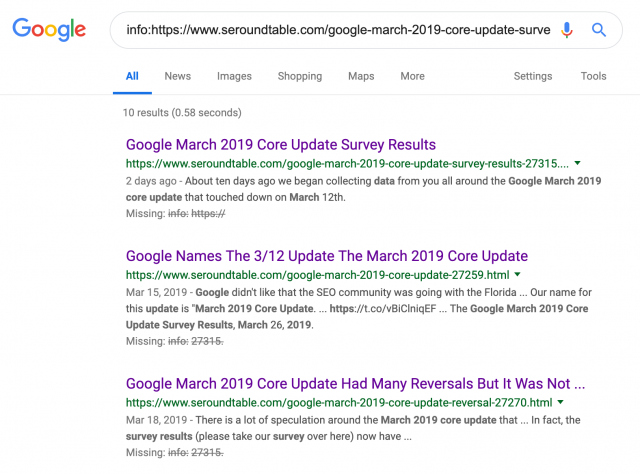 Now you can no longer get the Google selected canonical for URLs outside of your domain name space. 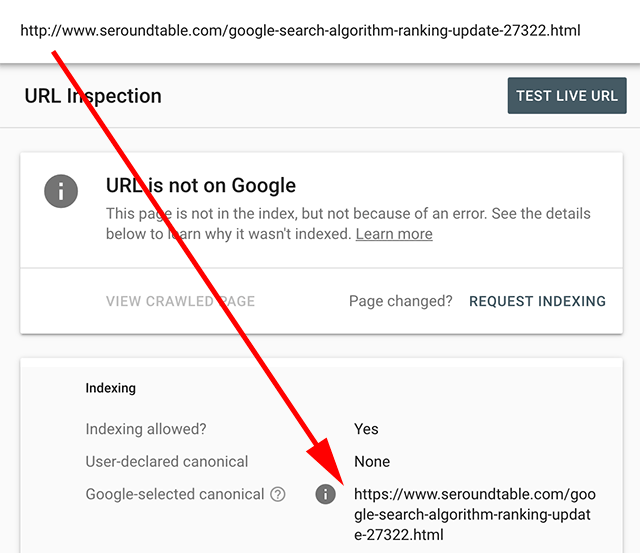 You can however see if a URL in your property is a Google selected canonical for a domain name outside of that property. To be specific you are limited to using the Google URL inspection tool for URLS you have verified in your properties. If those URLS are canonicalized to URLs outside your properties, you will see that. But not the other way around. From trying it out, the Search Console change is live. It's for URLs in your properties that have a canonical even on URLs that aren't within your properties.